H.E. Mirza Al Sayegh, Treasurer of the Board of Trustees and the representative of H.H. Sheikh Hamdan Bin Rashid Al Maktoum, Deputy Ruler of Dubai, Minister of Finance and Industry, conveyed the message from His Highness that His Highness has directed the Board of Trustees and the Secretariat to upgrade all efforts relating to the declaration, selection and screening procedures for the new award. The conference was an opportunity for members of the Centre for Arab Genomic Studies, consisting of 20 scientists, who attended the meet and discussed ways to expand the genetics database which the center began establishing after the big success of a trial run in the UAE and Bahrain. Plans have been prepared to include the databases of Oman and Kuwait, in addition to other countries. Doctors will now be able to go through the data to communicate and send their reports about genetic diseases in their own countries for the purpose of studying similar cases elsewhere. 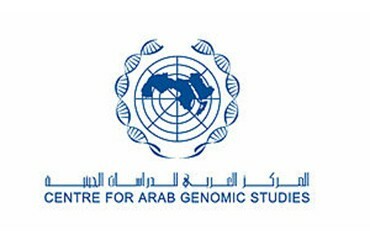 Because of the importance of the center and the services it provides through field studies and continuous enrichment of the database, the members of the Arab Centre for Genomic Studies confirmed that one of the basic tasks of the center would be to organize relations between CAGS and other organizations that work in genetics in the Arab World plus international centers doing the same work. They decided that there should be sub-juries also which will put out rules and draw up the framework for organizing the work of the center, including focusing on diverse important topics, especially regarding ethical restrictions in this field. These bodies will also concentrate on organizing scientific conferences to raise awareness in the science of genetic studies. Also they have discussed at the Human Genome Project in the conference, which is part of the original Human Genome Project, the focus on studying the characteristics and different genetic diseases of all continents of the world like Europe, Africa and Asia, while concentrating on Arab nations. In addition to discussing the preparations for the next conference in December 2007, agreement was also reached that each member of the Arab Council will prepare his own vision and topics for the conference. Prof. Najib Al Khaja announced the support of H.H. Sheikh Hamdan Bin Rashid Al Maktoum by allocating a new budget to support the Centre for Arab Genomic Studies and to support genetics activities in general. A new budget will also be drawn up to support the research relating to the Awards and develop its structure.